Today we are very happy to have a guest blog post on Asperger’s and OCD from Carol Edwards. 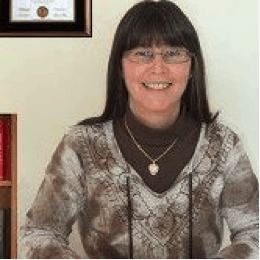 Carol is a Cognitive Behavioral Therapist who specializes in the area of OCD. We hope you enjoy this posts which illustrates that while the two conditions have overlaps, they are not always the same. Asperger’s Syndrome, often referred to as Asperger’s or AS, comes under the umbrella for Autistic Spectrum Disorders which is a complex developmental disability that affects the way a person communicates and relates to the people around them. The term autistic spectrum is often used because the condition varies from person to person. For example, some individuals who have accompanying learning disabilities are usually placed at the less able end of the spectrum, while others who have average or above intelligence are placed at the more able end of the spectrum (Asperger’s). Obsessive Compulsive Disorder, or OCD, is characterised by intrusive thoughts, ideas and images which often follow compulsive behaviours. These can be overt and also covert. For example, an individual whose OCD variation revolves around contamination fears may openly display an urge to repeatedly wash her hands (overt); whereas a person who suffers from disturbing thoughts and images may try to cancel these intrusions out by using a counter phrase or praying ritual in his mind (covert). Both behaviours serve to reduce the anxiety brought on by these intrusions, but only momentarily. Unless there is an autistic overlap or other pervasive developmental disorder, a person with OCD usually does not present with problems associated with the triad of impairments. Jack has an obsessive compulsion where he feels compelled to line up food items in order of size in the kitchen cupboard while Jill repeats a ritual which involves lining up a collection of ornaments in a cabinet in the family’s lounge. While Jack is generally an honest person, he has none-the-less learned to use deception to manage his OCD. In other words when he is prevented from doing a ritual he uses his imagination to find ways to figure out how to complete the act. For instance, while watching TV, Jack’s wife often prevents him from repeatedly checking that there isn’t a tin, bottle or packet out of place in the kitchen cupboard. This increases Jack’s anxiety but he wants to avoid conflict; therefore, he uses every trick up his sleeve so that he can fulfil his compelling need to check. Using deception provides him with the opportunity to relieve himself of anxiety, e.g. making up the excuse that he’s ‘just nipping through to the kitchen for a snack’. Now let’s consider Jill’s obsessional behaviour. Basically, the imagination is in the act itself which is part of her daily routine. When Jill lines up the ornaments she experiences organised satisfaction, rather than anxiety relief. When Jill’s mother tries to stop her, explaining that they have to leave for Jill’s scheduled appointment, Jill feels extreme annoyance to the point of anger, just like any person might if they were for example prevented from finishing their housework or something else and in the order they do it. The confused interaction between mother and daughter causes such distress that the appointment has to be cancelled. First, Jack can work around his compulsion because he understands that his thoughts affect his feelings and thus behaviours. The thought is ‘A bottle is out of place in the kitchen cupboard’ which follows with the feeling ‘When I’m prevented from checking, my anxiety rises’, which leads to deceptive behaviour, e.g.‘I’ll pretend I need a snack’. To add to this, Jack is not only able to understand the connection between his own thoughts, feelings and behaviours, he is also capable of grasping the thoughts, feelings and behaviours of others, hence the deception towards his wife. This tells us that he has developed social understanding which fits neatly with the ‘theory of mind’ (Baron-Cohen et al 1985*). What’s sad however is that while Jack goes to ridiculous lengths to perform his compulsions, he knows the behaviours are attributed to OCD, not him, and he wants to stop. Second, we’ve already established that Jill’s daily routine involves lining up the ornaments in the family cabinet. Her behaviour when prevented from doing this reveals that social imagination might be lacking, e.g. faking illness to avoid going out so that she can stay home and finish her ritual. Further, the difficult interaction with her mother and her inability to grasp that failing to turn up for an appointment can be problematic for others involved indicates that her obsessional behaviour is stereotyped and therefore characteristic of Asperger’s Syndrome. Jill fights her own corner honestly and has no conscious thoughts about whom and what the obsessional ritual is attributed to, and she doesn’t want to stop. So does this imply a lack of social imagination meaning Jill has not developed a theory of mind? Possibly, but not necessarily as it could be that this area of functioning requires intervention to help tease it into consciousness thus improving social awareness and world perception. Some say anxiety is the source of OCD which suggests a neurobiological condition to which pharmacological treatment in the form of Selective Serotonin Reuptake Inhibitors (SSRIs) is the primary tool. Others suggest it’s the other way round in which case a psychological approach to the problem is favoured. The psychological model is viewed from a social learning perspective, is specific in its approach with its cognitive and behavioural strategies and involves exposure response prevention (real or imagined). Its aim is to target obsessions, compulsions and doubt resulting from three underlying factors that maintain OCD: 1) fear 2) anxiety and 3) threat. Depression may also be a factor, which is often secondary to OCD, a result of the disruption caused in a person’s life. There is some evidence which suggests the cognitive approach is as effective as the medical approach (SSRIs) in terms of this treatment modifying biological parameters (Understanding Obsessive-Compulsive and Related Disorders: www.ocd.stanford.edu). However, the level of OCD severity and secondary depression is not overlooked here in which case medication combined with a biobehavioural approach is often an option. The cognitive approach casts doubt for those on the high end of the autistic spectrum, which is, since this type of therapy challenges the individual’s belief system and focuses on bringing awareness of the psychological features of OCD, how does this fair when it comes to treating individuals with the disorder if they also have Asperger’s? With regards to Baron-Cohen’s theory and this being correct and in terms of those with AS sharing some features of autism, there is however no delay in language and cognitive development; so the answer in most cases has to be that the prognosis is good. The right choice of treatment takes into account many more factors than already discussed, such as whether pharmacotherapy should be considered, for instance, if a client refuses psychological treatment or has poor response to behavioural methods. Likewise, behaviour therapy might be the appropriate choice if the client refuses medication or if drug therapy is ineffective, if the client is pregnant, is a child etc. Further, a combined approach might be considered a better option because it offers the best of both treatments, especially if the client’s condition has become entrenched over a number of years and/or if the person has depression or other overlapping conditions, or another distinguished disorder such as Asperger’s or Bipolar. In extreme cases, hospitalisation may have to be discussed as a treatment option, such as when a client’s condition is so debilitating that the person whose contamination fears for example are so severe that she isolates herself from other people, including family members; and to which her overall health (and her family’s well-being) is clearly at risk. What happens when the wrong diagnosis is given? A true diagnosis for both Asperger’s and OCD can often be confusing. I have known children and adults diagnosed with AS whose traits include aversions to foods touching each other, social avoidance, touch issues, and so on, only to find these features were associated with contamination fears and other OCD problems. I have also come across people diagnosed with OCD appearing to present with contamination fears associated with food, who have later revealed that they preferred their food placed on their plate in a particular order, not because they feared getting germs from food items touching each other. Some individuals also found social interaction difficult because they were touch-sensitive, not germ obsessed which is more likely to be characteristic of Asperger’s, not OCD. These examples only touch the surface but the bigger picture suggests there might be some ambiguity regarding certain statements/questions when determining diagnosis. Thus it is crucial that the person is clear about what box he is actually ticking during assessment for either (or both) diagnosis. Further, be sure about what questions are being asked and what they mean during an assessment before answering. George is in a pub with his colleagues, John and Sarah. John puts his glass on the table which is an inch out of line with Sarah’s. George is very aware of this and he is finding it difficult to engage in social interaction. This is an OCD trigger situation but his distraction could easily be confused with having a lack of social skills, indicating an Asperger’s trait. The thought content that follows George’s trigger situation is that his mother will die (magical thinking) if he doesn’t align John’s glass with Sarah’s. His anxiety rises but he doesn’t want to appear ridiculous so he distracts John and Sarah by standing up and deliberately tipping his own drink over (thankfully there was only a mouthful left) to which he surreptitiously brings Sarah’s glass forward to match John’s (compulsive behaviour). What makes things socially worse for George is that he is equally concerned with the mole (or shall we say beauty spot!) on Sarah’s upper lip – this type of obsessive focus during interaction suggests a symptom of Asperger’s, especially because the beauty spot didn’t fit quite centre with the philtrum (middle of the upper lip and below the nose) which could have triggered a further OCD episode in terms of alignment or symmetry obsession, but it didn’t because the attention was on detail; that is, the beauty spot itself, nothing else. Here there are two separate conditions going on at the same time but what is interesting is that George’s OCD incident highlights that a theory of mind is intact (social imagination); however, this is (or appears to be) absent during the ‘beauty spot’ situation. If we gauge George’s OCD at 75% and his Asperger’s at 25% then this becomes clear in terms of a muddled social imagination. Imagine however if the percentage is turned the other way around. Now predict what it must be like for someone coping socially with 100% criteria for Asperger’s. The point here is that each person’s situation is unique to which they deserve a unique intervention plan to decipher their confusion and help them cope better in what must be at times a socially incomprehensible world. The earlier treatment is applied the better because behavioural traits can become fixed over the years, which means intervention might prove more challenging not only for the individual but also for the practitioners involved. Note to parents and care-givers: for those presently diagnosed with Asperger’s and PDD-NOS please be aware of the proposed revision in the Diagnostic and Statistical Manual-Fifth Edition (DSM-V) for the forthcoming decisive factors in changes to diagnostic criteria at: en.wikipedia.org/wiki/Diagnosis of Asperger’s Syndrome. The new DSM-V edition will be released in 2113. You can find more information on these crucial changes at: www.autism.com./index.php/news_dsmV: titled ‘What Changes May Mean’. As a qualified CBT therapist, specialising in OCD and Asperger’s, my aim is to separate each set of symptoms from the other in terms of providing a suitable intervention plan for the individual. I have seen social perception problems in those with and without AS and therefore keep an open mind about Baron-Cohen’s theory since each person is unique; therefore using complementary therapy in the form of cognitive behavioral therapy to help change faulty perceptions to conquer OCD for those with or without Asperger’s (which would include additional management of behaviours associated with AS, e.g. social interaction) would be better than no treatment at all. The changes in the DSM-V for 2113 might mean the individual’s diagnosis is altered or eliminated, but this will not change the person, so unless treatment changes, my premise is that CBT (which may or may not include pharmacological intervention) continues for the present to be a favoured option for those with or without a formal diagnosis. Carol Edwards is a professional CBT therapist, specialising in Asperger’s Syndrome and OCD. She is a mother to three children, and after home-educating two of her children through secondary school, one diagnosed with Asperger’s and OCD, she began her role as Asperger’s adviser, giving her the opportunity to advocate for families whose children and adult dependants are in education. Please visit Carol’s page (see link below) and click ‘thumbs up’ to help her raise more awareness. Is there any connection between left-handedness and Asperger’s? So often I hear from my family when I mention something I want to do, a goal of mine, trying to share something with them, hoping they’ll see it as me trying to “move forward” and “do something positive” like they want, it’s immediately shot down with “Geez, how are you going to do that when you can’t even do ____?” It’s heartbreaking. I feel completely defeated before I can even get a foot in the door. Depressing doesn’t even begin to describe it. It’s totally isolating, I can’t share anything, how I feel, what I want for myself, goals, dreams, nothing. It’s never good enough, it’s always wrong. Your family is supposed to support you and be there for you, not shut you down. Sometimes it’s better to be alone. I find my strength in knowing that I’m not the only one that fights through this, and that we can achieve despite those who don’t understand how their words wound us. It is very difficult whatever the labels are to cope today. I have Aspergers and depression and anxiety. My ocd isn’t too bad at the moment. What I am struggling is my depression is not getting better and health professionals forget that having Autism is part of me.We’re having a meeting to discuss my mental health and see what else is going on. It doesn’t help that I got a late diagnosis at 42. Our son, 59, has ADHD? , OCD, and possibly Asperger’s. The only term known when he was in school was Attention Deficit, or Learning Disability. He has struggled with his problems his whole life. Today, the psychiatrist questioned what good a diagnosis would be, what would we do with it? Discouraging. Does anyone know of a research project our son could join, so that he/we could finally have a diagnosis/treatment plan? And/or a small group assisted living home for adults with Asperger’s so he could have friends who understand him, pursue his interests and gifts, and do something interesting with his life. Thank you. I know 100% my family has Aspergers not OCD we fit with Simon Baron-Cohen’s article on Is Aspergers hereditary perfectly. I have read this article before and know somebody who has OCD their behavioural triggers and reactions are far more predictable than somebody with Aspergers. Interesting article. The true examples helped spark ideas about my own Asperberger’s / OCD potential. Just last night in a movie theater a guy down my row started turning on his phone during the last half of the movie to check the time. Just for 5-10 seconds each time. It drives me crazy when people turn their phones on in theaters. Don’t they know better and know everyone can see it? I almost told him to stop doing it, something I often do in the middle of a movie. Okay, so hearing myself write that last paragraph is a little bit eye-opening. But as to whether I have theory of mind how about this example. The body wash kept falling out off the bathtub onto the floor and after a few days of picking it up over and over I put it up in the bathroom cupboard. When my wife found this out she laid into me (to her credit and for context she has dealt with my issues for 15 years of marriage) saying she uses it every day and wondered where it disappeared to when she needed it. As a result I am happy to leave the body wash alone. In that case maybe I am just OCD. You put the body wash in the cupboard without thinking that perhaps your wife might need it. You solved the problem for yourself and created one for her. You were not considerate by asking her if she needed it. If it kept falling off the bathtub could you have secured it somehow so it would stay? In the grand scheme of things it is pretty trival. It is not an earthshaking issue. Your wife just needed to ask where it was and to let you know she uses it every day and then to find a way to stop it from falling. I don’t think this fits anywhere with OCD or Asperger’s. Certain things annoy us for whatever reason. The phone is an annoyance too. I don’t think you have to have one of these conditions to be annoyed by either of these examples. I really enjoyed this article! It frightening to think that these two very different diseases can be so easily confused due to similar symptoms. Readers may also be interested in another article I just read on this topic called “Identifying & Treating Obsessive Compulsive Disorder” at http://www.psychalive.org/2012/12/identifying-and-treating-obsessive-compulsive-disorder/ which discusses how to identify Obsessive Compulsive Disorder and also provides valuable information on treatment options.